The Fightin’ Blue Hen Battalion ROTC team shows off their trophy after winning the 4th Brigade Ranger Challenge. Being in the military is difficult. Serving your country takes a certain kind of dedication and both inner and outer strength that not everyone has. Then there’s the difficulty of being a full time college student while being in the military. 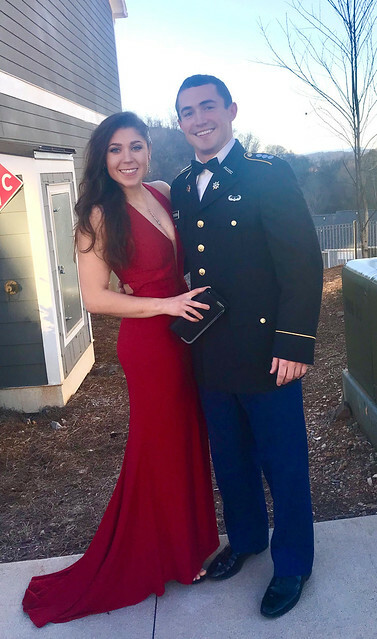 The university has both Army and Air Force Reserve Officer Training Corps (ROTC), a four-year program for college students to go on to serve as officers in the military. And still, some ROTC members choose to participate in Ranger Challenge. Described by the U.S. Army Cadet Command as the varsity sport of Army ROTC, the challenge is a two-day tactical and physical competition testing the units from different colleges and universities in each brigade, the regional collection of schools that make up a larger unit. Each school’s unit competes against the others in 15 events that range from written navigation tests to marksmanship and a physical fitness test. On Oct. 21, the Fightin’ Blue Hen Battalion ROTC team won the 4th Brigade Ranger Challenge. The team is comprised of fourteen members, including three who attend Wilmington University. Only eleven compete for each unit. Three serve as alternates, usually the younger or newer members of the team, in case someone is injured or unable to continue. Four members of the university’s team, including captain Claudia Bacon, are seniors. Two juniors, five sophomores and three freshmen make up the rest of the team. Some of the cadets, including Bacon and seniors Pat Thomas and Matt Daniels, knew what to expect in the competition after competing in previous years. This is Bacon’s third year on the team. She did not compete her freshman year, 2015, the year the university’s team won for the first time in the battalion’s history. While normal ROTC cadets participate in daily physical training and typically once-per-week tactical training, the Ranger Challenge team adds additional conditioning to already-early morning routines. They spend more time with 35-plus pound rucksacks, as well as incorporate lifting- and endurance-based work into their training. As for the tactical side, they go more depth with medical and firearms training. A freshman cadet may only learn to assemble an M16 rifle once in their first semester. Ranger Challenge cadets are timed; oh, and they have to learn to shoot the weapon. And that land navigation most cadets dread — Ranger Challenge cadets do the course in the dark. It’s as awful as it sounds. “Being new to campus and new joining the team all right away was definitely a tough transition, but everyone on the team made it a lot easier especially with the family environment that was created,” first year cadet Jake Campbell said. Campbell was the only freshman to compete; the other two — Paul Giesing and Celena DeLara — served as alternates. With their victory, the Fightin’ Blue Hen Battalion goes on to compete in the national challenge, representing the 4th Brigade at the Sandhurst Military Skills Competition. Sandhurst is held in April at West Point Military Academy, and among the 64 competitors are service academies and international teams.